Thursday was quite rainy here in Cincinnati. It rained for pretty much the rest of the day after we had lunch with James at Chipotle. James is one of the pastors at Brian’s church and he looks after missions. It was great getting to know him and talking about the work Brian’s been doing throughout the year to impact students in Fiji. Later Brian and I drove down to the city to exchange my Fiji dollars to US and we had a bit of a dilemma at the bank. I guess the people at the desk (who we assume had never seen Fiji money in their lives till then) thought we were trying some-sorta scam because we wanted to exchange such a large amount. But it worked out in the end (after a brief moment of awkwardness). The rates were not very favorable though. Nonetheless, I’m thankful we were able to convert it. 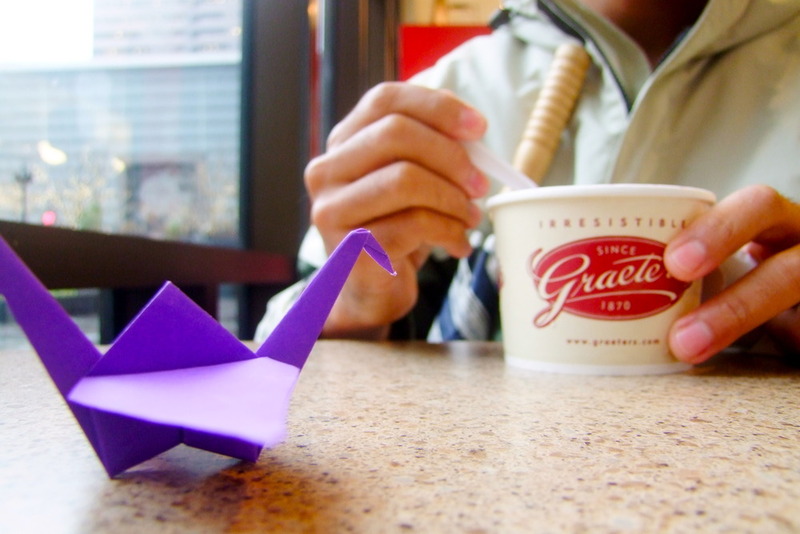 Initially we had planned to go ice-skating at Fountain Square and do a bit of (window) shopping as well but due to the rain we had to settle for ice-cream at Graeters. Great ice-cream mind you. 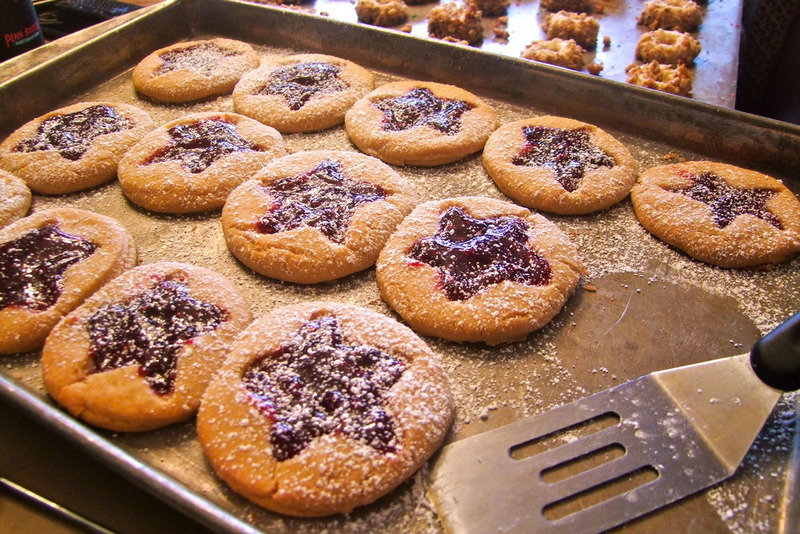 We got back home in time to sample some of Mrs Faust’s famous homemade cookies. The highlight for day 3 (Friday) for me was going with Brian’s family to watch a Christmas show called Awaited. It was truly a wonderful experience. 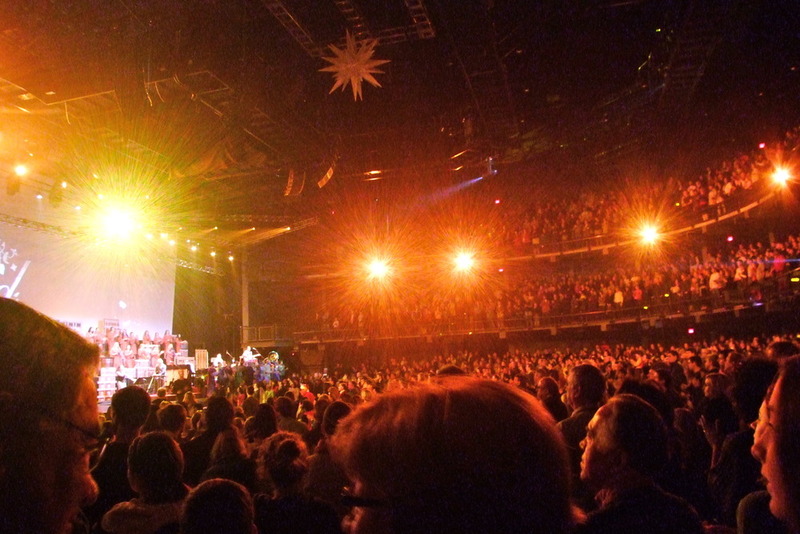 I was amazed foremost at how big a center/church it was held in and all the lights and equipment they had. They even had (fake) snow at one point in the show. Seriously, I wish I could have recorded it because it’s just to difficult to describe. So I’ll just encapsulate it (the music production, media, creative dance performance, stage craft and script that was completely free) into one word… AWESOME! One of the singers reminded me of Kina Grannis. lol. Just saying. 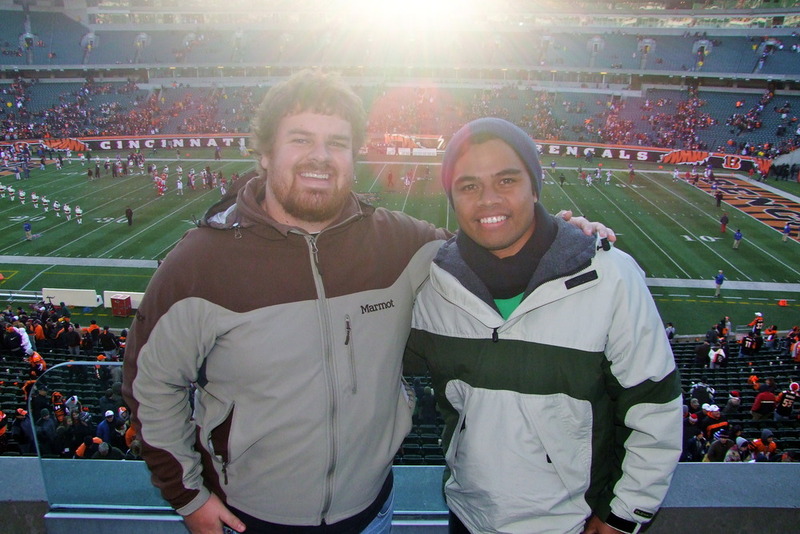 I don’t know how someone could top something like that but I tell you Mr Faust had gone all out to make my first trip to Cincinnati an unforgetable one and got Brian and I club seat tickets to watch the Cincinnati Bengals play the Arizona Cardinals. That by far has to be the best sporting event I have ever been to. It was an incredible experience. The atmosphere at a football stadium is overwhelming. It was a great game. The Bengals took control in the first half and there was an amazing touchdown by Jerome Simpson, one of the Bengals wide receivers where he did a somersault over an opposing player to land on his feet and score. I’ll never forget that. The Cardinals made a later surge but the Bengals held on to keep their playoff hopes alive winning 32 points to 16. So in a nutshell, I’ve been having a great time and eating a lot but I’m also really enjoying learning about the culture and lifestyle here in the West. It’s broadening my perspective, metaphorically speaking. So again thank you for your support. I’ll blog about Christmas soon. God bless.